He cleaves advancing enemies in twain with a single thundering blow from his blade, Zantetsuken, the namesake of his signature attack. 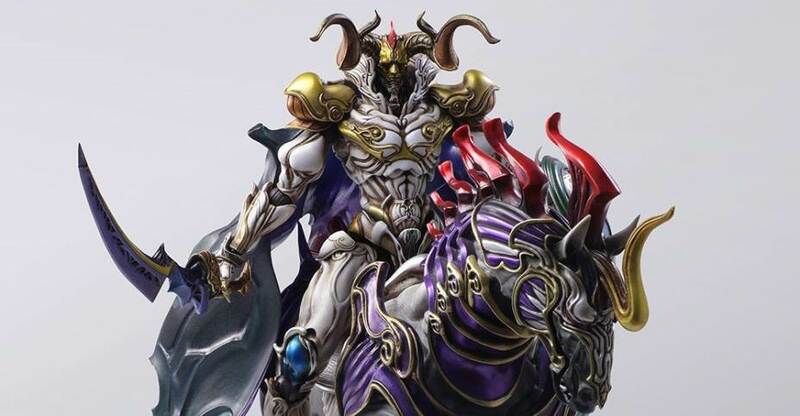 He is Odin, one of the most popular summons in the Final Fantasy series, now recreated as a Creatures Bring Arts figure under the artistic direction of legendary sculptor Takayuki Takeya! Odin can be posed riding horseback on his trusted steed Sleipnir, the six-legged stallion. The figure’s construction allows collectors to display him in a wide range of poses. From the ball-jointed articulation of the figure to the three-piece construction of Odin’s cape allowing for a range of unhindered motion, among others. The coloring of the figure has been carefully considered, with gradated shadows and other details in the shading implemented thoughtfully in order to emphasize the details of the sculpt. 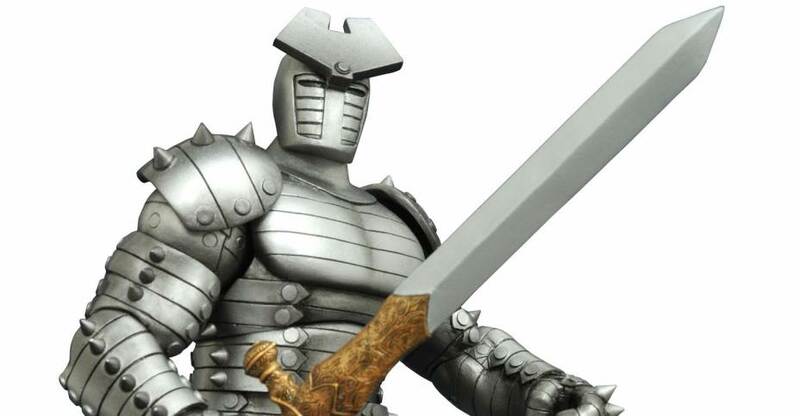 For anyone who loves Final Fantasy, this figure is a must have. The Bring Arts Odin and Sleipnir set is due for release in August. They are priced at $299.99. You can see the photos after the jump. Read on for photos and full details on each release. Muppets Minimates Series 3 2-Packs Asst. Plants Vs. Zombie Garden Warfare 2 Select Action Figures Series 1 Asst. 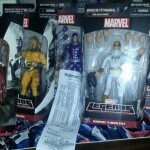 Read on for the photos and more detailed info for each item. 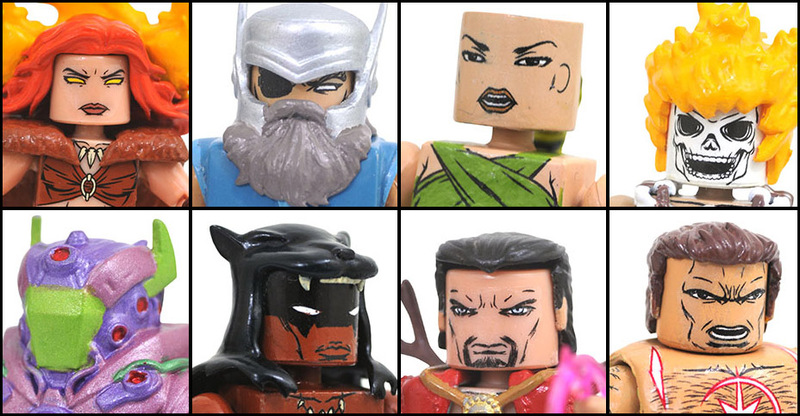 Diamond Select Toys has posted a video preview for an upcoming Odin The Destroyer Marvel Select Figure. The figure will include the Odinsword and interchangeable Odin and Destroyer head sculpts. 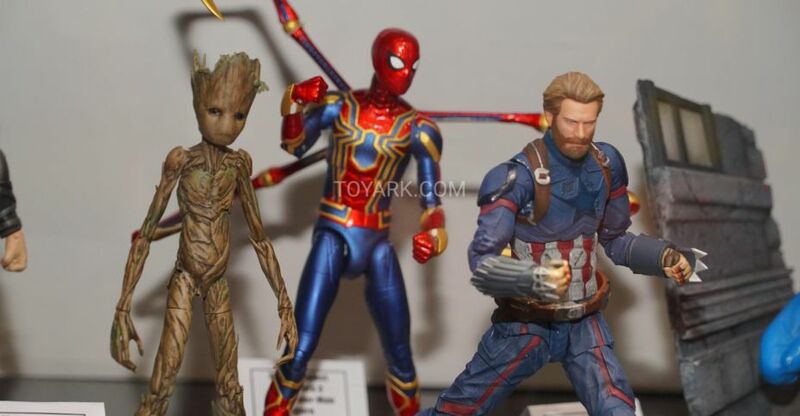 It will also tower over their 7″ figures, as you can see with the Thor comparison. Odin the Destroyer will have about 16 points of articulation. 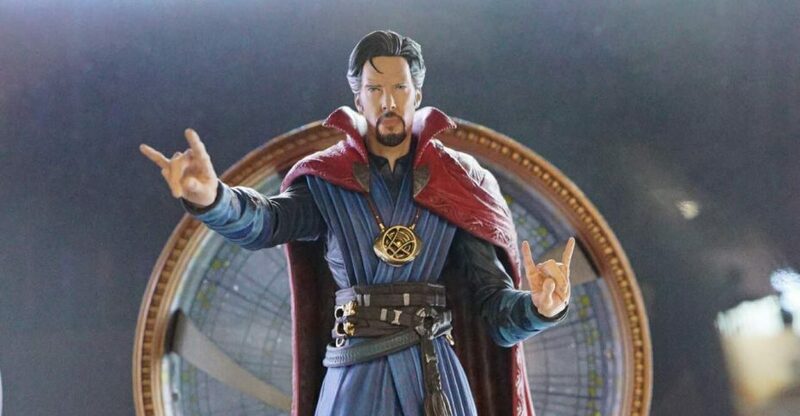 The figure is priced at $24.99. Check out the video below and a few screen shots after the jump. Odin was the son of Bor and the Frost Giantess Bestia, Odin pined for the day he would ascend to his father’s place as leader of the gods. When time-traveling god of evil Loki arrived from the future and transformed Bor into snow, Odin claimed his father was dead and assume rule over his lands alongside his brothers Vili and Ve. The three brothers returned to their father’s kingdom of Asgard, which had become home of the gods. Upon the apparent death’s of his brothers at the hands of the fire-demon Surtur, Odin absorbed their life essences, increasing his own power (the “Odinpower”). Assuming sole rule of Asgard! 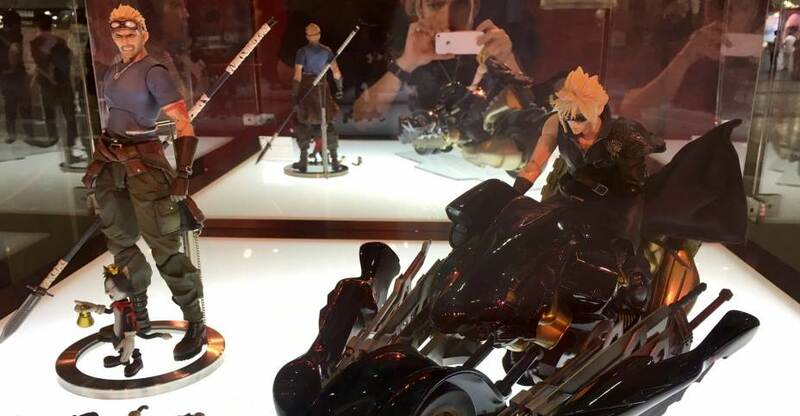 We’re now getting reports from multiple peopel that the figures are making their way to U.S. stores as well. Happy hunting. See a pic of the receipt after the jump.